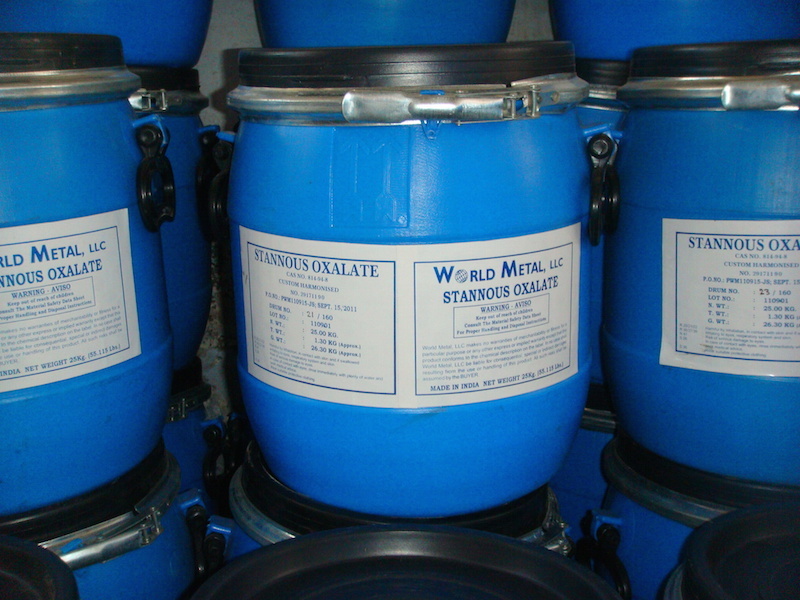 World Metal, LLC supplies Tin product – Stannous Oxalate to various industries for a variety of applications and uses. Our objective is to fulfill customers’ requirements for high quality chemical products with an efficient, reliable, and always customer-first approach. Call 281-491-7474 to know more about chemical information, properties, structures & price of Stannous Oxalate.